While my dad used to prepare my taxes when I first started earning, I quickly took over my own taxes. With his help, I have been doing my own taxes for years. Well, his help and that of TurboTax. I’ve been a loyal TurboTax user for a number of years. They have always been easy to use and I never had issues. Unfortunately, they decided to be deceptive to business owners this year, so I won’t be going back to their software. Before this year, I’ve been all about doing my own taxes. It’s really not hard, especially when you use a service such as TurboTax. They ask the questions and you answer them. It does get a little more difficult when you own a business, like I do, but it’s still manageable. I’ve been an advocate for many to do their own taxes. Most filers can use TaxACT, H&R Block, eSmart Tax or TurboTax for very little money. If you only get a W-2 and you don’t make money on the side, then these programs can get it done for you in a matter of minutes. We all know accountants cost money. They are good at what they do (most anyway) and they charge accordingly. This is especially true for those who are really good with taxes. You pay a premium to use them. The more you need from them, the more you pay. It’s as simple as you get what you pay for. People wanted more choices than going down to their local tax accountant, so that’s where tax software was born – out of a growing need to do it yourself. There are some cases when doing your own taxes could end up costing you more than paying for a CPA. In my own situation, we have bought and sold a house; I sold a bunch of company stock at the beginning of the year; I earned quite a bit extra on top of my normal job; and, we participated in a government program when we bought our first house that now requires tax documentation that I don’t know where to find. There were enough special circumstances affecting us this year that I decided to skip the tax software even before I got wind of TurboTax’s unwilling change. This is the first year I have opted to go with a tax accountant who specializes in small businesses. While I’m sure I could take time to figure out how to address my special circumstances from a tax perspective, I don’t want to. I value my time much more than that. To me, time is money! 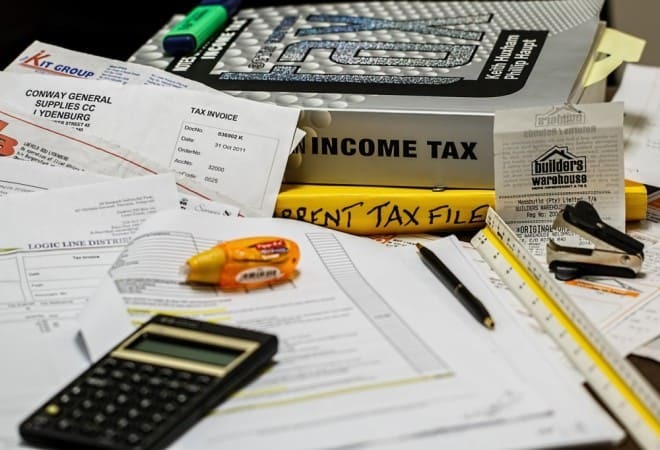 On top of the information, good business tax accountants can make sure you are getting all of the applicable deductions you can get. Understanding the tax laws is hard enough for most people, especially us regular taxpayers. Add in the business aspect and it just gets murky. In the end, I realized I could be overlooking tax deductions I didn’t know about or didn’t think applied. This would cause me to pay more than I would without the accountant, including the fee. This seems worth it to me. The question you should ask yourself before every tax season is whether you should do your taxes yourself or hire a professional. If you did them successfully last year and nothing really changed, then why not try your hand again? If your situation changed considerably, like mine, then consider going with a professional. While you pay more upfront to get the service, they can typically make sure your taxes are done right and you get the most applicable deductions. It’s nothing against tax software, but they only ask specific questions. Tax accountants can analyze your situation and come up with other questions. It’s the human factor that really makes the difference here. Depending on how my experience goes, I might not go back to tax software next year. I might just stick with the accountant. Remember, you can deduct the amount you paid on next year’s taxes! So, what about you? Do you do your own taxes or do you hire a professional? If you use online tax software, which is your favorite? How long did it take you to prepare your taxes last year? My exact experience. You gather all the documents, answer a bunch of questions and an accountant drops into your software. Then, you sign something saying you will look over the return and absolve them for any errors. You either trust your accountant, or you spend the same amount of time checking over their work. JMO, and I’m a DIY’er. This is something I’m skeptical of. What are they using to do the taxes? I’m really looking for more advice than anything. This is my 2nd year of hiring a pro to do our taxes. With our rental property, my work at home status and my wife have un-reimbursed expenses at work, it just makes sense to hire a pro. It may cost more upfront, but in the long run, I feel more confident going this route. We are doing our own taxes this year, but it might be the last. It just gets more complicated each year. We have two rental properties and two businesses now, with plenty of other stuff going on. It certainly does get more complicated year after year. We are blessed that my dad’s best friend since childhood is a CPA and has always done our taxes for no charge. It’ll be a sad day when he retires! That sounds like a good situation. My husband is a retired IRS agent so he does our taxes but even he has stated how difficult it is getting to be due to the complex tax law. He uses TurboTax and we didn’t have problems with the proper forms with the version we use. Since he loves a challenge, he will probably continue doing ours for quite a while. Nice, I’m sure that makes it a little better. As a financial advisor, I actually see accountants miss more than they catch and it’s mostly because they don’t ask all the questions and clients don’t necessarily offer up as much as they should, mostly because they don’t know they should. I actually started doing taxes myself when I started my business because I wanted to make sure that I didn’t miss anything and with a program like TurboTax for Business I don’t feel like I do. I feel like the program is more up to speed on all of the regulations than your average accountant. It takes a lot of time, but I haven’t met an accountant yet that I truly trust to know that it’s worth it. This is something that frightens me. While I’m going with a CPA this year, I’m also going to be doing the taxes on my own as a test. I think it would be good to see. OMG easy answer! No way in hell I’m doing my own as a freelancer! lol! It takes me forever just to organize everything for my accountant (so I can at least keep the cost as low as possible in that area). I used to do my own though when life was simpler and had just one full time job. I’ve had an accountant for years, and it’s mostly because of the personal factor. He knows us and has offered many good ideas over the years to help keep money in our pockets. It does cost to hire someone, but it’s been well worth it in my opinion. I think it takes some time to get a relationship with a CPA that will actually pan out. It helps both to know each other. As odd as it sounds, I love doing my taxes. That being said, as soon as things start getting more complicated, I’ll have no problem switching to a CPA. That does sound odd ;). I don’t mind doing taxes, but just hate when I have to pay the man. I do my own taxes primarily because I assume that if I go to a professional they will simply type in the information I give them. TurboTax has worked really well for us the past year, so as long as we have all our documentation ready to go it only takes a few hours of typing stuff in. My parents buy TurboTax every year and you can file up to five returns on any single software license so we don’t even have to pay for the software. Nice, I didn’t even know you can file up to five returns. That’s good to hear. Is that with the online version as well? Or do you have to actually buy the software? That’s a good question Amber. I believe you need to have the software, but am not 100% certain on that. We are doing our own taxes this year, and we always have. I am not sure if I will be doing it next year though as with the move and everything else, everything is more complicated now. That’s where I’m at now. Things are incredibly complicated. Well, if you’re not good with numbers, then taxes aren’t for you! For the last few years I’ve had someone do my taxes for free. I’m pretty sure I will get them to do them again since I had a lot of side income in 2014. Nice! Free isn’t bad at all. I say go pro! But I’m biased. I’m a DIY’er but I have an accounting degree. It’s certainly not for everybody. I typically enjoy doing taxes myself, but there are too many unknowns this year.